One of the hottest things in the watch market today is the all black or Phantom type watches. There are a few companies manufacturing these models promoting the unreadability and unusual style. The Bell & Ross Phantom, a limited edition run of both the BR01 and BR03 models, and are mostly sold out. Black dial, black hands, and black numbers and markers. These watches are designed for stealth fighter pilots who operate stealth aircraft capable of sliding past radars and are virtually invisible to the enemy. The all black watches reflect no light, but surprisingly glow a dark green for some very slight visibility in the dark cabin. 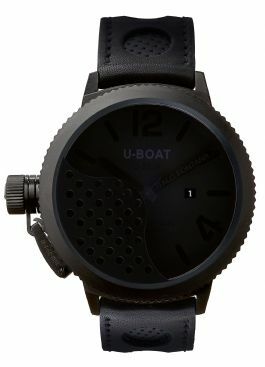 U-Boat has the model 1851 Flightdeck Eclipse 50 Black, all black case with black dial and black hands. Going along with the stealth style, this watch features a funky textured dial, that is rather hard to detect. 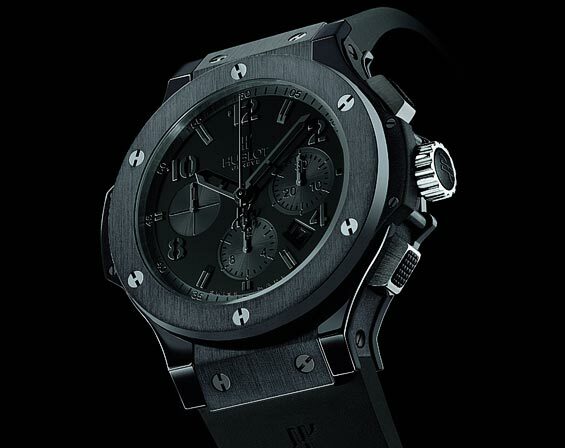 Hublot also has a limited edition Big Bang version called the All Black, not as stealth as the Bell & Ross, but all black in color and very trendy. Big Bangs are very desirable, especially the all black with some being limited to only 25 pieces. 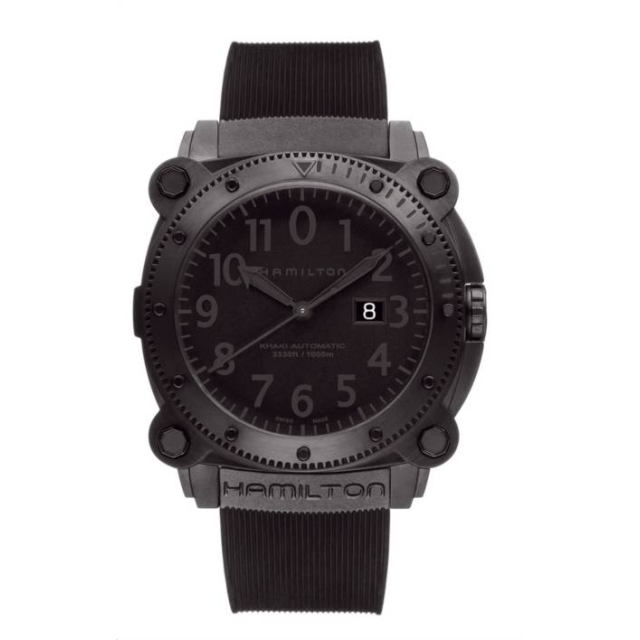 Hamilton is the next to come out with the Below Zero 1000M H78585333, a 1000 meter diving watch all black hands, dial and numbers. This watch has sold very well (regular production) and is an incredible value for the money, it comes with a black rubber strap as well as a black PVD stainless steel bracelet. Who would have thought, that the next trend and fashion statement in watches is not about telling time.